« Q&A with Whitney Berry: how will ocean acidification impact coastal California? 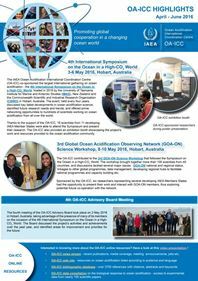 Representatives of 14 countries from Latin America and the Caribbean attended the first regional meeting of the Ocean Acidification international Reference User Group (OAiRUG), hosted by Invemar in Santa Marta, Colombia, held on 19th – 21st March 2018. Funded by the Prince Albert II Foundation as part of a long-term strategy of His Serene Highness, with additional support from the International Atomic Energy Agency, and held in collaboration IUCN and the Latin American Ocean Acidification Network (LAOCA), the purpose of the meeting was to bring together leading international and regional scientists, experts from affected maritime industries, leaders in environmental protection and management, and representatives from civil society to create a step-change in how the region can respond to this modern-day ocean-impact challenge. Attended by over 50 invited delegates, for the first time the OAiRUG proceedings were also streamed live by Invemar to Facebook and the Colombia National Parks channel attracting an online audience of over 8000 people across the three days. Laffoley D., Baxter J.M., Arias-Isaza F.A., Sierra-Correa P.C., Lagos N., Graco M., Jewett E.B. & Isensee K., 2018. 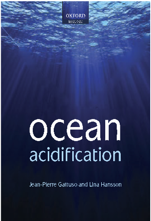 Regional Action Plan on Ocean Acidification for Latin America and the Caribbean. Serie de Publicaciones Generales No. 99. INVEMAR, Santa Marta, Colombia. Report.